View images from our most recent photo shoot with Jumping Rocks. 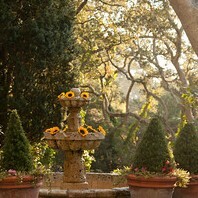 Go to http://photos.jumpingrocks.com/OldMontereyInn and enter monterey as the password. All images are copyrighted to Jumping Rocks and Old Monterey Inn. If you would like to use any of the images in a digital format or print you need to have permission. Please contact us with your request. See why a romantic getaway to Old Monterey Inn is sure to please! We look forward to having you at our Monterey bed and breakfast.